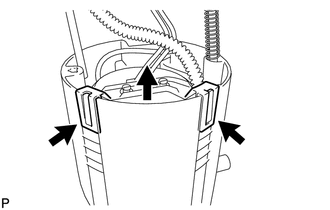 (a) Disengage the 2 claws and remove the filter from the sub-tank. 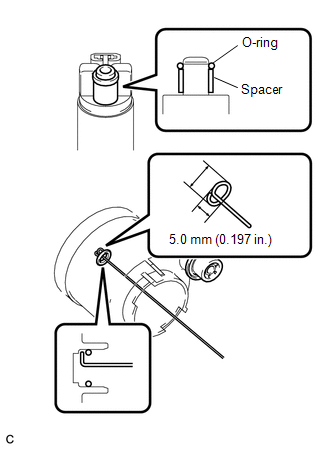 (b) Using a screwdriver with the tip taped, detach the claw of the jet pump nozzle. 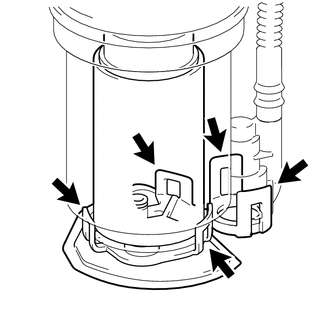 (c) Using a screwdriver with the tip taped, remove the jet pump from the sub-tank. 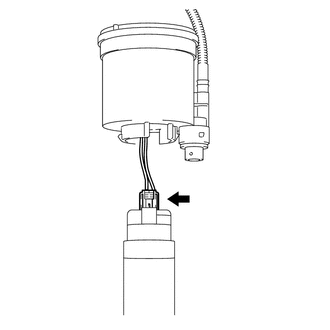 (d) Remove the O-ring from the jet pump. 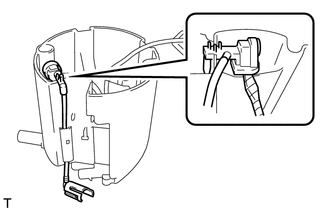 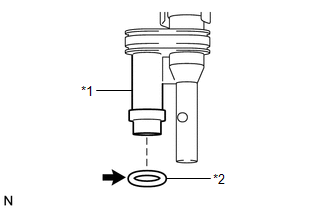 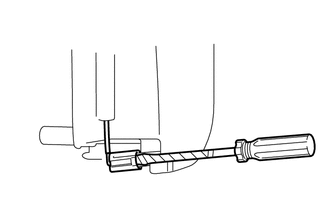 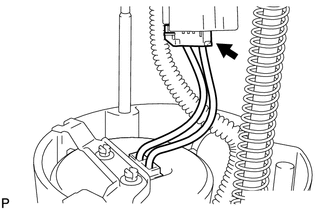 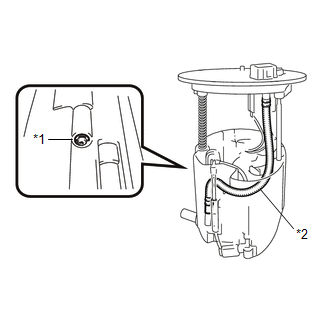 (a) Disengage the 5 claws on the filter and remove the fuel pump from the fuel filter.